Thanks to the recent improvements, LED technology allows significant decrease in the energy consumption of buildings and installations where lighting is on during several hours per day. 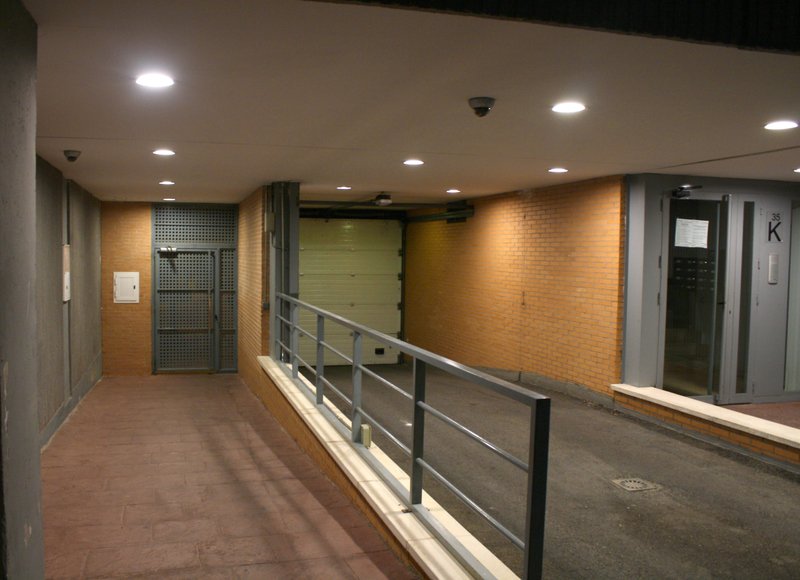 Shared areas in residential housings (car parks, courtyards…) are perfect examples where LEDs permit important energy and economic savings. 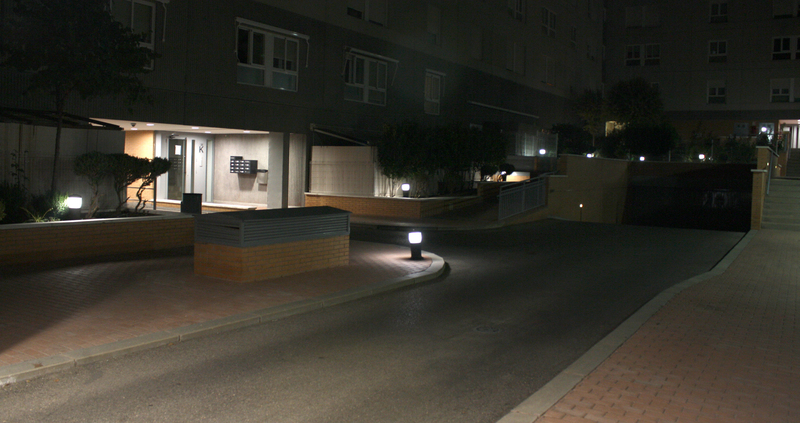 In March 2016, GMD Solutions realized the replacement of the shared areas lighting system in a residential housing of Boadilla del Monte (in Madrid’s suburb). 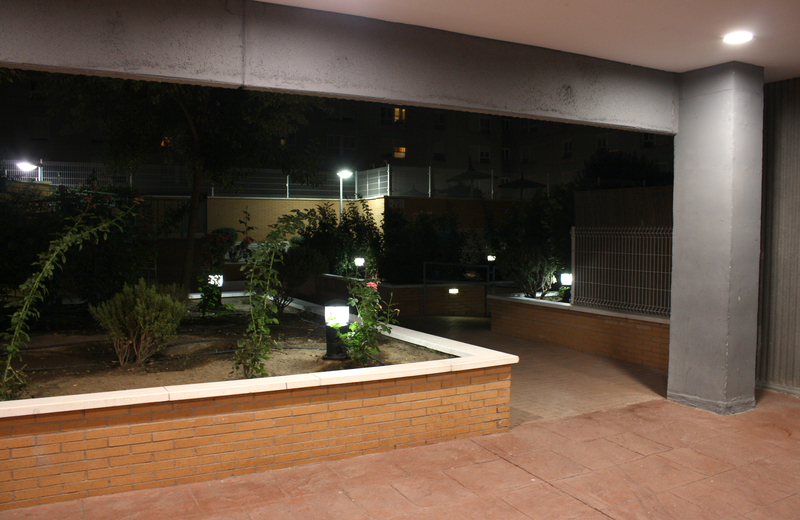 In particular, the courtyard’s lampposts’ bulbs, the padel court spotlights (padel is a racquet sport also known as paddle in the US), and the garage’s tubes were replaced. 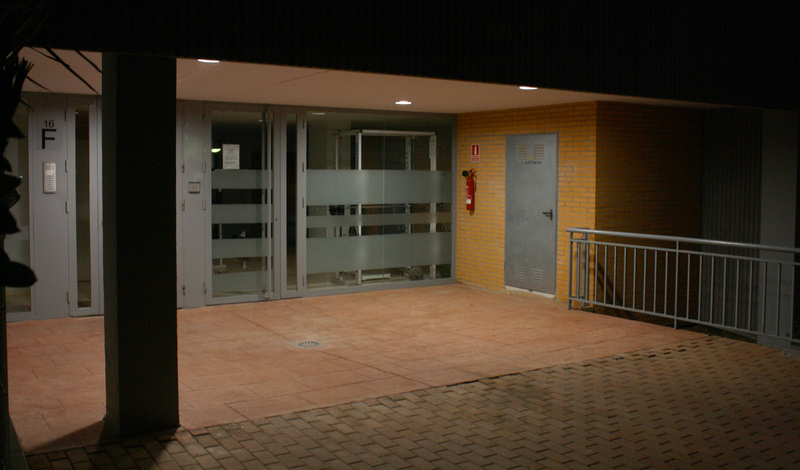 The replacement was agreed through a 3 year-renting contract with the residents’ association, which will allow total savings of over 3.500€/year the first 3 years and about 8.000€/year once the contract ends. GMD Solutions signed a similar contract with another residential housing in Madrid district of La Gavia. This August will begin the replacement of over 130 58W-fluorescent tubes by 22W-LED tubes in the community’s garages where lighting is switched on 24h a day. In the courtyards, 100 15W-LED downlights will replace 26W-CFC downlights in the buildings’ entrance and 36W-LED bulbs will be installed in place of 125W-bulbs in lampposts. Total energy savings are estimated to reach 85.000kWh/year, which would be about 10.000€/year. Besides, the total installed power will be reduced a further 13kW, resulting in extra savings in the electricity bill. 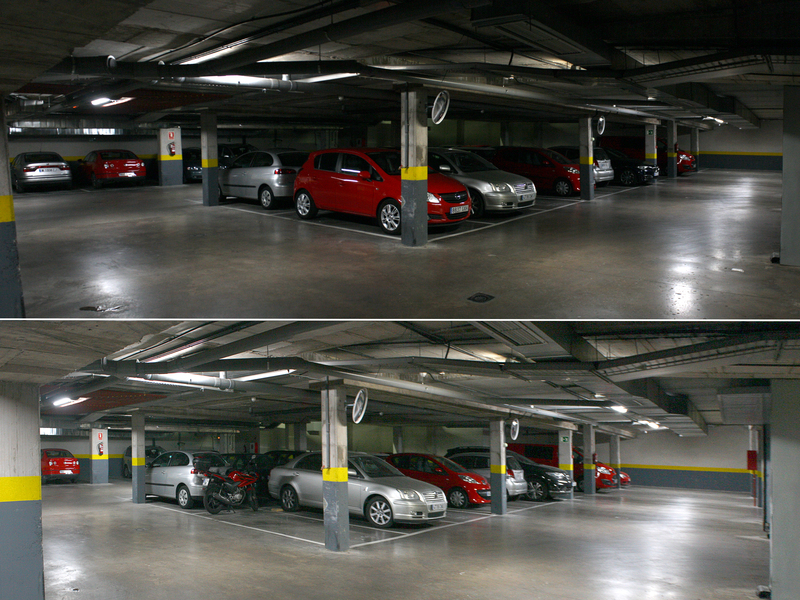 In all areas where LED will be installed, the illuminance will be improved. It is important to highlight that the installed LEDs have a 3 year-guarantee and the renting contract includes the replacement of faulty devices with no extra cost during this period.